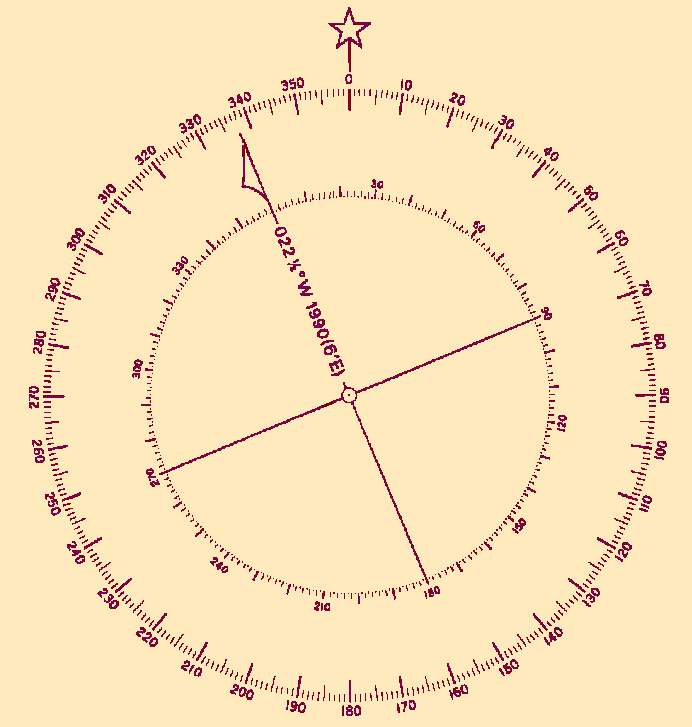 Charts may have outdated magnetic variation (declination) information shown on the compass rose. It becomes less accurate beyond five years from the year shown. The automatic MagVar map included in your GPS or chart-plotter system may have several degrees of error. You can get an up-to-date value from several sources. 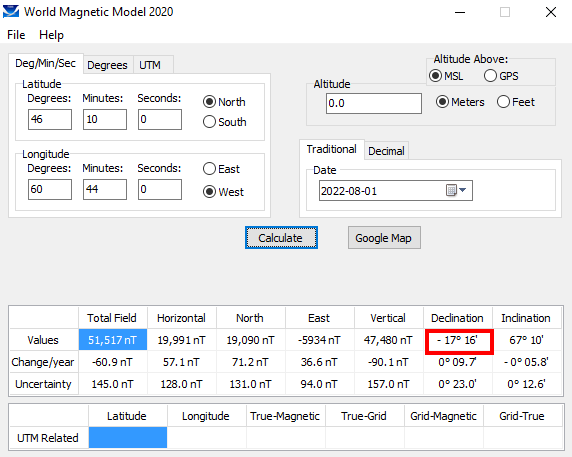 Natural Resources Canada provides a source here: Magnetic Declination Calculator. 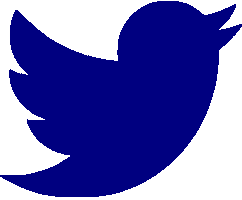 Or, you can download the app, WMM2015 [Update: 2019-02-04], which allows you to obtain the MagVar for any location: no Internet required. Depending on your browser, you may be asked, "Would you like to save this file?" [WMM2015.zip] If so, click 'Save File'. The file will normally be downloaded to your 'Downloads' directory. Unzip the file in a directory of your choosing. To use, click on the file WMMGUI.exe. Depending on your version of Windows and your settings, it should open a similar window to the one shown on the left. The 'Help' feature provides clear instructions for its use. The calculated MagVar will appear in the window under 'Declination', indicated by the yellow shading. Due to the unpredictable, changing nature of Earth's magnetic field, the World Magnetic Model is usually revised every 5 years, and good for the 4 years following the year shown on the window header. However, recent unexpected rapid changesThese changes were only relevant to the Arctic and Antarctic regions, in areas close to the magnetic poles.ⓘ in the magnetic field have necessitated interim revisions of the model. The most recent revision is dated 2019-02-04. For Summer 2019 in Cape Breton, a value of 17¾°W is suggested.